The Redmi Note 5 Pro debuted last month, offering a slew of upgrades over the standard Redmi Note 5 and establishing itself as the budget phone to beat in 2018. There’s plenty to like here, so if you’re looking to pick up the Redmi Note 5 Pro or are interested in knowing more about the device, read on. The biggest change in the Redmi Note 5 Pro is the introduction of an 18:9 display. With more and more manufacturers switching to taller and narrower panels on their devices, it only made sense that Xiaomi do the same for the Redmi Note series. Both the standard Redmi Note 5 and the Redmi Note 5 Pro share the same 5.99-inch FHD+ (2160×1080) panel, and the IPS LCD screen is one of the best in this category. MIUI’s veritable smorgasbord of customization extends to the display as well, and you can tweak the color balance and saturation levels to your preferences. The Redmi Note 5 Pro also comes with a blue light filter, which reduces the strain on your eyes when viewing the display at night. The Redmi Note 5 Pro is the first phone in the world to be powered by Qualcomm’s Snapdragon 636 platform, which brings semi-custom Kryo cores to the budget category. The chipset is built on the 14nm node, and offers a cluster of two cores — a set of four high-performance cores based on the A73, and four energy-efficient A53 cores. The ARM A73 is one of the fastest cores available today, and its inclusion in the Snapdragon 636 gives the Redmi Note 5 Pro a significant boost in performance when seen against other devices in this category. You can pick up the Redmi Note 5 Pro with either 4GB or 6GB of RAM. 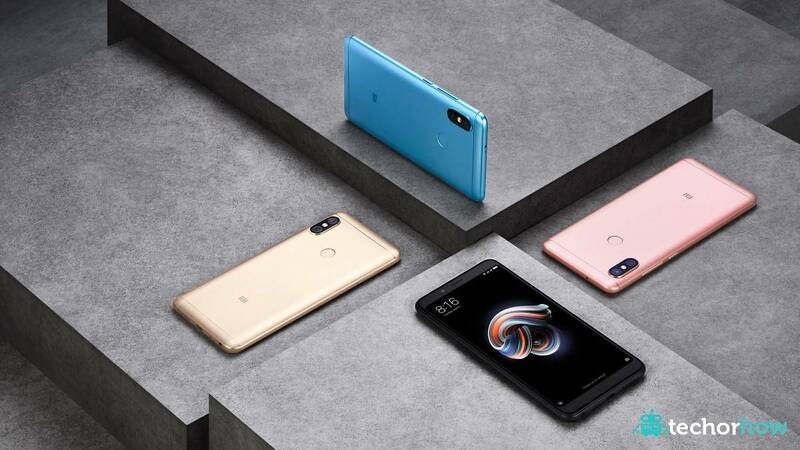 The first two sales were limited to the 4GB model, but Xiaomi has finally started offering the variant with 6GB of RAM as well. You don’t necessarily need 6GB of RAM, but it’s a good way to future-proof your phone, particularly if you’re in the market for a device you can use for at least two years. This time around, Xiaomi is offering both models with LPDDR4X RAM, which is the fastest memory standard available today. LPDDR4X works over lower voltages, delivering up to 15% increase in energy efficiency over LPDDR4 while offering the same amount of performance. The memory standard is seen in the likes of the Pixel 2 and the Galaxy Note 8, so for a device in the budget segment to feature LPDDR4X is a big deal. Thankfully, both variants of the Redmi Note 5 Pro come with 64GB of internal storage, and there’s a microSD card as well if you’re looking to extend storage. The 4GB Redmi Note 5 Pro is available for ₹13,999 ($215), whereas the 6GB model is available for ₹16,999 ($260). The Redmi Note 5 Pro raises the bar for camera prowess in the budget segment. Imaging is an area where Xiaomi’s budget phones didn’t do particularly well over the years, but that has changed with the Redmi Note 5 Pro. In fact, Xiaomi stated at the end of last year that its key focus for 2018 was camera quality, and if the Redmi Note 5 Pro is any indication, there’s a lot to get excited about. The dual camera on the Redmi Note 5 Pro sees a primary 12MP sensor paired with a secondary 5MP module for adding depth to photos. The 12MP camera has an f/2.2 lens along with larger 1.25um pixels, with the secondary shooter featuring an f/2.0 lens and 1.12um pixels. Thanks to new imaging sensors and upgraded post-processing algorithms, the images that come out of the Redmi Note 5 Pro are vastly better than its predecessors. The secondary module allows for portrait mode, and Xiaomi has mentioned that it has significantly improved edge detection and intensified the blur effect for portraits. In short, portrait mode on the Redmi Note 5 Pro is better than what we’ve seen on the likes of the Mi A1. Then there’s the 20MP front camera, which comes with an LED flash module for taking selfies in low-light scenarios. Although there’s a single sensor up front, Xiaomi is offering portrait mode for the front camera as well, with the manufacturer relying on algorithms to achieve the background blur effect. Overall, the camera on the Redmi Note 5 Pro has the potential to be the best in the budget category. Last year’s Redmi Note 4 led the field in terms of battery life, and things haven’t changed much this time around. The Redmi Note 5 Pro comes with a 4000mAh battery that easily manages to last two days on a full charge. You’re going to see anywhere from eight to ten hours of screen-on-time spread over two days with the phone. In addition to the large battery, MIUI has optimizations in place to reduce battery drain when you’re not using the phone. If battery life is your primary consideration from a phone, look no further.